Gołda Tencer – actress, director, singer. She was a student of the legendary Perec School in Łódź, where he passed her matura exam, also in Yiddish, a language she speaks fluently. In 1969, she moved from Łódź to Warsaw and affiliated with Estera Rachel and Ida Kamińskie Jewish Theatre. She studied culture on the Warsaw University, she also graduated from the Actors Studio by the Jewish Theatre, postgraduate management studies on the Management Faculty of the Warsaw University and the Media Art Faculty at the Academy of Fine Arts. She is famous for her many theatre roles, mainly classical and contemporary Jewish dramaturgy, such as: Leah in “The Dybbuk” by Sz. Ansky (directed by Sz. Szurmiej), Cyne in “Green Fields” by P. Hirszbejn (directed by Sz. Szurmiej), Bejłka in “Great Win” by Sz. Aleichem (directed by J. Rotbaum), Szosza in “A Goldfaden Dream” (directed by J. Rotbaum). She also took part in many Polish and international film productions, such as “David” directed by P. Lilenthal (awarded the Bronze Berlin Bear), “Alles auf Zucker!” directed by D. Levy (Germany), “Austeria” directed by Jerzy Kawalerowicz and “Love and War” directed by M. Mizrahi (USA). Director and co-director of such stage performances as “Trubadur from Galicia, “Cud purymowy,” “The House in Nalewki” (Kamienica na Nalewkach), “A bomb for me” (Dla mnie bomba) together with Sz. Szurmiej, “We, the Polish Jews” by J. Tuwim, and “Bonjour Monsieur Chagall”, “The Song of the Murdered Nation”. In 2015 she gave a performance during the Gala Concert “Ladies And Gentlemen, There Will Be A War!” directed by Monika Strzępka, which was a part of the 36th Actor’s Song Review in Wrocław. She is the initiator and author of various artistic and educational campaigns aimed at protecting cultural heritage of Polish Jews. The founder of the Shalom Foundation (launched in 1998), creator and organizer of the Jewish Culture Festival “Singer’s Warsaw,” founder of the Jewish kindergarten named after Lauder Morash. Upon her initiative and the support of Janusz Korczak Association the monument of Janusz Korczak was erected in 1999. She also gave the impulse to found the commemorating plaque that was placed in Gdański Train Station on the 40th anniversary of March’68. Shalom Foundation and Polish-German Foundation’s efforts resulted in the renovation of the Ghetto Heroes Monument in Warsaw. During the 65th and the 70th anniversary of the Warsaw Ghetto Uprising, she supervised the artistic part of the celebration, inviting to the gala concert in Teatr Wielki – The National Opera the Israeli Philharmonic Orchestra conducted by Zubin Mehta. An important part of her activities are the projects that expand and promote the knowledge about the Jewish culture, such as the contest “The Culture and the History of Jews in Poland” organized since 1993, publishing various books, including “History. The Memory of Jews Before, During and After the Holocaust” as well as the poetry book by Wisława Szymborska “Nothing Given” in five languages, including the first Yiddish edition. The exhibition organized by Gołda in 1996 “And I Still See Their Faces…” has already visited nearly 30 countries, including the USA, France and Mexico. 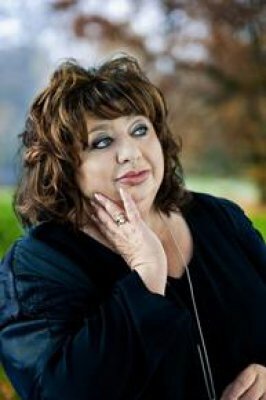 In 2009-2015 she was the Deputy Director and in 2015 she became the General and Artistic Director of E. R. and I. Kamińskie Jewish Theatre. She is the recipient of many decorations awarded for her activity, including Golden Lira, the highest decoration awarded in Israel for the achievements in promoting Jewish culture. In Poland she received: Knight’s Cross of Order of Polonia Restituta, Officer’s Cross of Order of Polonia Restituta, Golden Medal of Gloria Artis and Commander’s Cross of Order of Polonia Restituta awarded by the President of Poland, Bronisław Komorowski. In 2014, she has also received the award of the Capital City of Warsaw. Her plans include launching artistic board of the Jewish Theatre and some of the most prominent representatives of Polish culture have already announced their willingness to become its members, they include: Professor Anna Kuligowska-Korzeniewska, Professor Lech Majewski, Maciej Wojtyszko, Jacob Weitzner (PhD), Piotr Paziński (PhD), Karolina Szymaniak (PhD), Jan Szurmiej, Sylwia Chutnik, Ryszard Marek Groński, Marian Turski and Józef Hen.